Democratic Candidate Mark Robert Gordon will launch his campaign for Arizona Secretary of State on Monday, March 26, from 5 to 7 pm at the Arizona History Museum in Tucson. For 26 years, his law office, headquartered in D.C., has advised governments, candidates, political parties, and not-for-profits nationwide about federal issues. Gordon was a delegate to the 2016 Democratic National Convention and is an elected Arizona State Committee Member and Precinct Committeeman from LD28 in North Central Phoenix. He served as an elections specialist on the bipartisan Transition Team of newly elected Maricopa County Recorder Adrian Fontes. Mark Robert Gordon, a Democratic candidate for Secretary of State, vowed to end the voter suppression tactics and partisan politics that have infected the office that serves as the chief elections officer for Arizona. 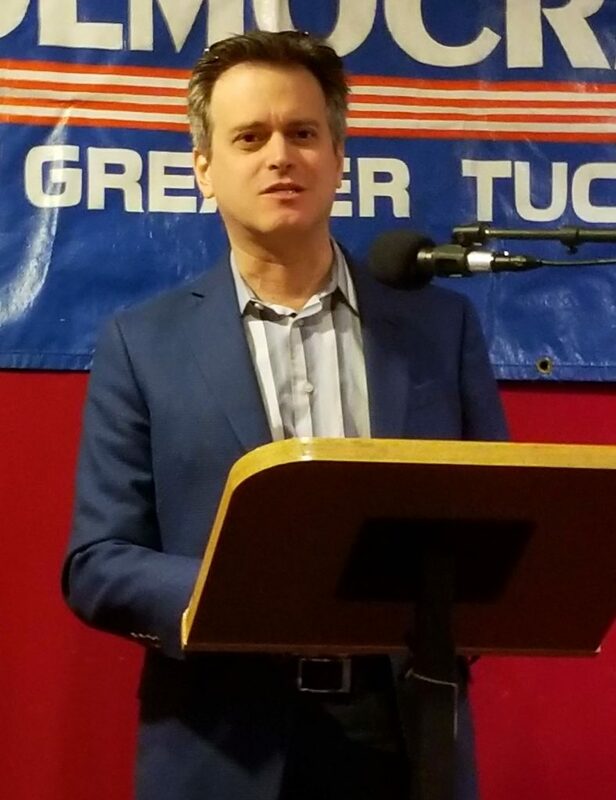 He called Republican incumbent Secretary of State Michele Reagan “a Grinch who stole democracy,” at the recent Democrats of Greater Tucson meeting.